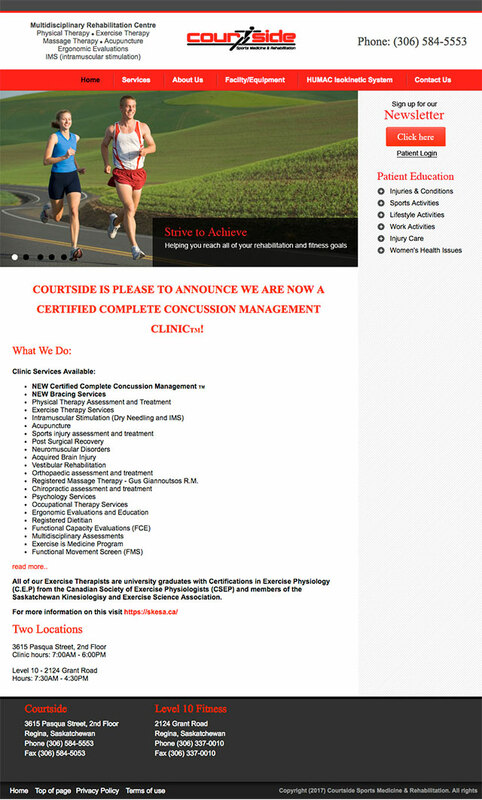 Courtside Sports Medicine and Rehabilitation needed a new website. We designed a template of a look and feel that integrated the client’s brand. Features included the Patient Sites’ educational section.